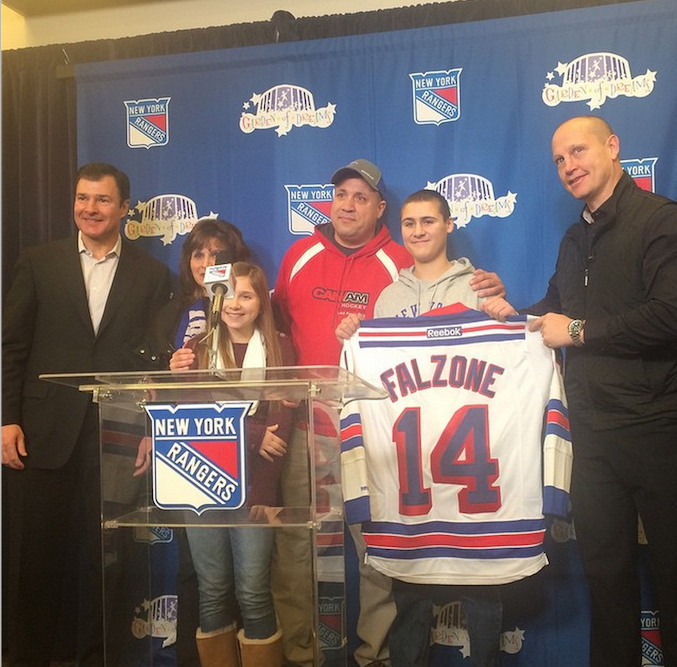 Chris Falzone, a 15-year-old cancer survivor from Atlantic Highlands, New Jersey, signed a one-day contract with the New York Rangers on Monday, The New York Daily News reported. The once-in-a-lifetime signing was made possible by the Garden of Dreams Foundation and The Make-A-Wish Foundation of New Jersey. Chris, a huge hockey fan, was diagnosed with cancer during his freshman year of high school, Sports Illustrated reported. At first he was told he would need a full hip replacement, meaning he would never play the sport he loved again. 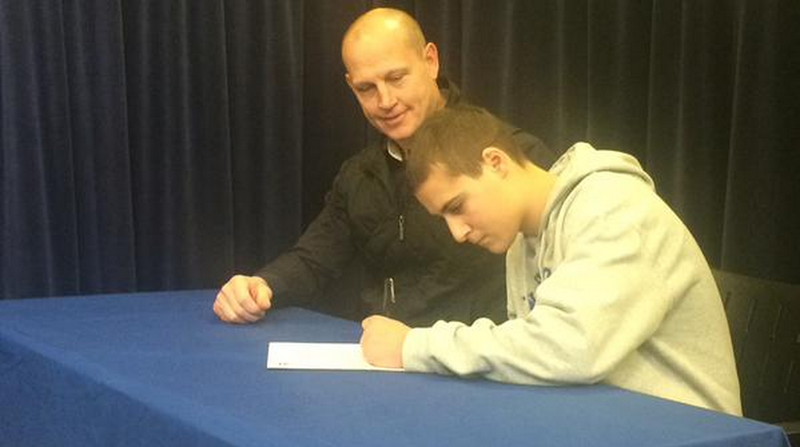 But after extensive treatments he was allowed to resume playing hockey this past summer. Chris got to practice with the Rangers on Thursday before holding a press conference and contract signing on Monday, The Daily News reported. He also got to skate with the team before Monday night’s game against the Pittsburgh Penguins.